it should be quite telling to see who actually covers this 9/11 related presentation.. there are tons of ways to show that the 9/11 commission was neither independent nor thorough, perhaps Griffin breaking the silence will help our press realize that we want the truth, and some of us are still paying attention..
here is a list of new articles covering Griffin's presentation.. i will add to it as more come out (assuming more do)..
Brad Blog - Can This Be Happening?? 9/11 Truth On American TV?? Don't forget to watch Griffin on BookTV tommorrow! hopefully CSPAN will have a call-in segment afterwords, keep your fingers crossed. EDIT: here is an image from the broadcast.. please feel free to send in your comments..
Hey look, the media talked about 9/11! although they have ignored the Griffin 9/11 speech to be given tommorrow on cspan..
Two of the Sept. 11 hijackers used a public-access computer at a New Jersey college library to buy tickets for the plane they seized and crashed into the Pentagon, a federal prosecutor said. Wainstein said the hijackers used the computers four times in August 2001, including once on Aug. 30 to check on reservations that had been made for Sept. 11. He said the Internet accounts used were registered to hijackers Nawaf Alhamzi and Khalid Almihdhar. welp, somehow i managed to use up 23GB of bandwidth in the last 2 days.. i am waiting to hear from my host to see how this overage will be handled.. in the mean time, i have signed up to use a file hosting service which charges per GB of transfer.. you can see their pricing here..
i am going to keep the david ray griffin video up for now until i hear back from my host.. if there are any issues i may pull the download until my other file hosting service is done being setup..
A group of more than 50 whistle-blowers called on Congress yesterday to strengthen protections against retaliation by federal agencies when employees expose improper activities or mistakes that could damage homeland and national security. At the news conference, the Project on Government Oversight, a whistle-blower advocacy group headed by Danielle Brian , handed out a report that said government whistle-blowers are coming forward in greater numbers since the 9/11 terrorist attacks and are being greeted with harassment, dismissals, demotions, loss of security clearances and other reprisals. 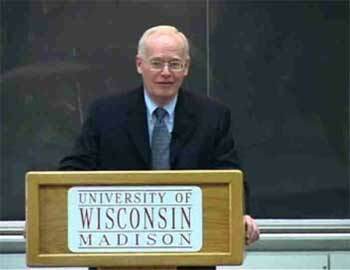 Griffin's electrifying talk was recorded Monday night, April 18th, in Madison, Wisconsin. If you missed this historic moment-- the biggest lecture hall at the University of Wisconsin-Madison campus overflowing with over 450 people who gave Griffin a thunderous standing ovation for charging the Bush-Cheney regime with orchestrating the 9/11 attacks--you'll have to see the video to believe it! 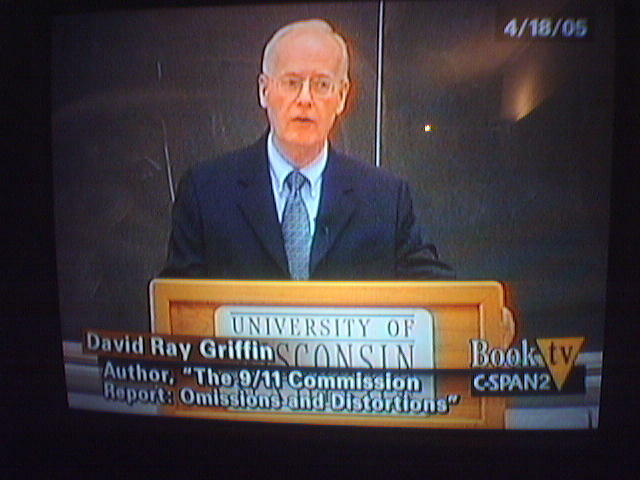 Description: David Ray Griffin takes a critical look at the official 9/11 Commission Report. Professor Griffin argues that "omissions and distortions" in the report amount to a cover-up by government officials and says that the available evidence suggests that the Bush administration was complicit in the 9/11 attacks. Professor Griffin covers topics he says have been inadequately answered by the commission. These include questions surrounding the attack on the Pentagon, the way in which the World Trade Center towers collapsed, and the behavior of President Bush and his Secret Service detail following notification that a second plane had hit the WTC. The talk was hosted by the Muslim-Jewish-Christian Alliance for 9/11 Truth (www.mujca.com) and took place at the University of Wisconsin in Madison. Includes Q&A. Author Bio: David Ray Griffin is professor emeritus at the Claremont School of Theology, where he taught for over 30 years (retiring in 2004). He has authored or edited over two dozen books, including "God and Religion in the Postmodern World," "Religion and Scientific Naturalism," and "The New Pearl Harbor: Disturbing Questions About the Bush Administration and 9/11." Theorists bent on exposing falsehoods in The 9/11 Commission Report maintain the attacks were a conspiracy led by the Bush administration, as UW-Madison students heard Monday at an event sponsored by the Muslim Jewish Christian Alliance for 9/11 Truth. A convicted terrorist was providing U.S. officials with very specific information about a terrorist attack three months before 9/11. 86th St. & Amsterdam Ave.
this event will broadcast a pre-recorded video from Cynthia McKinney, hopefully this will be available to us all after the event.